A plain and yet very luxurious fabric. 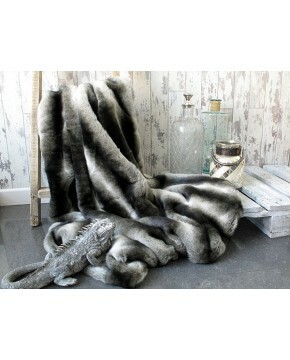 The Black Bear faux fur throws have been in our range for quite a while now, and their popularity will keep them there. Great for creating monochrome schemes with any of the white designs we offer, or just pure luxury on its own. We would normally recommend either the faux-suede or plain short fur backing on our long haired designs, as having them double-sided fur (same fur both sides) can make them a little heavy to handle. If intended for use on white or very light leather furniture, we would recommend requesting the ivory coloured backings. 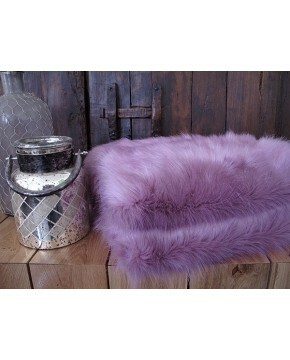 Description: A lustrous shiny black, plain, long-haired faux fur throw. A dense undercoat coupled with longer black hair. Our usual range of 9 standard sizes or contact us for bespoke sizes.